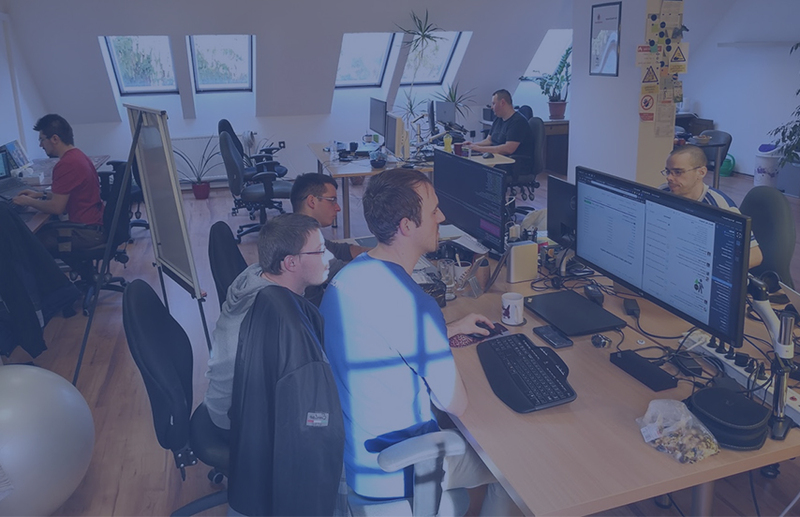 Here at Inviqa we’re committed to helping our people learn and grow. As part of this commitment we recently invested in free, in-house coaching to help our people achieve their personal and professional goals. Here I sit down with our first resident development coach, Tony Piper, to learn more about the personal and professional benefits of coaching and how it all works. What are the benefits of developmental coaching? It’s ultimately here to help you accomplish the things you’d like to achieve, and, in the process, to help with your sense of wellbeing. Coaching can be useful in all sorts of ways, but it’s always about helping people take action. People often get stuck before they’ve started to work on something (aka ‘analysis paralysis’), and if they get started they can often become stuck if they’re waiting for others, or doing something they have no experience of. Developmental coaching is a tool that helps people get started and get unstuck. I usually work with people on communication and presentation skills, personal effectiveness, management, coaching and leadership skills, career growth, and career transition. If you’re always telling people what to do, you may become indispensable. If you help people understand what they already know, and what they can do for themselves, you will become invaluable. Coaching reminds us that we’re capable of achieving much more than we think, even when we just harness the skills, experiences, and contacts we already have. In an industry such as software engineering, we’re all experts, paid to tell each other what we think about something, and what should be done. We go about our lives freely offering advice to each other. And if we’re on the receiving end of that, it’s easy to become over-reliant on others. Developmental coaching helps rebalance things and remind you that you already have so many personal resources that can be used to achieve great things. And when you realise or reconnect with that, amazing things can happen. How does coaching work at Inviqa? We offer developmental coaching for free to all Inviqa employees, whatever their role or location. It’s confidential and impartial and allows staff to work on outcomes that might require just one or two sessions, or larger goals they wish to tackle over a longer timeframe. Many of my clients approach me directly and others are referred to me by our dedicated People and Learning Team. Typically we’ll start with an hour-long session and take it from there. My client will talk me through their challenge or current predicament whether that’s to do with themselves, their work, or their relationships with other people. By helping my clients to question their assumptions and perceptions, and by acting as a sounding-board, I can help them to identify their goals or the change they want to achieve, and the action that’s required to get there. It’s hugely rewarding to be able to help the people I work with, which in turn helps the business. We may be a digital agency, but we’re ultimately a people business, and we’re only as good as the people we employ and nurture. Inviqa is full of lovely, smart people. I’m lucky enough to be working with them, and helping them achieve their dreams. What could be more rewarding? It’s challenging when you encounter clients who say they want to achieve things, but aren’t prepared to do the work. Coaching can only work if you have a strong sense of intrinsic motivation to achieve what you’re trying to achieve. If you don’t, I can help you understand how to get that motivation, but ultimately if you don’t want to achieve it, you won’t. Earlier in my career, I was lucky enough to experience the power of coaching for myself (at a time when it wasn’t very commonplace) and was inspired to grow my skills in this area. Fast forward a few years and I was still working as an IT professional, but kept seeing my colleagues getting stuck in the same situations. I knew that coaching could help, and I wanted to make best use of my skills and experience. So I decided to formally change career. Coaching is a skillset that can be used in so many ways, whether working as a full-time coach, being a leader with strong coaching skills, or a facilitator. It’s the kind of thing that can be of service to anyone, anywhere in the world. And any advice for would-be coaches? A coach without a coach is like a doctor who doesn’t believe in going to the doctor. How can you expect your clients to see the value in coaching if you don't? As for training, there are lots of coaching frameworks you can learn. I started my journey by learning the Five Minute Coach and applying it rigorously. Getting started as a coach doesn’t need to be expensive or time-consuming. Like many things, it takes moments to learn, but a lifetime to master. I’m inspired by people who, in the face of adversity or challenge, keep going and achieve their goals. I love to be out and about on my Brompton bike, going for long walks, or training in the gym. I’m also a professional singer, so don’t spend much time at home! Like what you see? Head to our careers page to learn more about life at Inviqa and to search our jobs.